This soup, which accentuates the flavor of broccoli and doesn't cover it with an avalanche of cheese, is one of my favorites. It's fast, pretty healthy, and very tasty. I normally make it over the weekend and reheat it for a quick weeknight supper. It freezes well, too. The baking soda, which sounds like an unusual ingredient, helps the broccoli to break down and release its sulfurous compounds. What's left behind is nutty and sweet tasting broccoli. 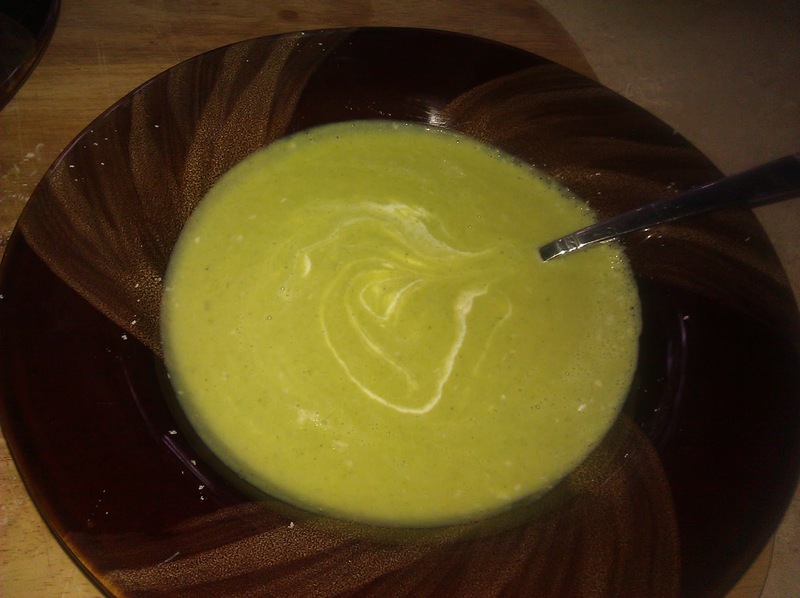 The arugula (the original recipe calls for baby spinach) gives the soup a bright green color. 1. Heat butter in large Dutch oven over medium-high heat. 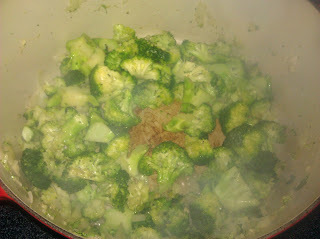 When foaming subsides (about 5 minutes), add broccoli, onion, garlic, dry mustard, cayenne, and 1 teaspoon salt. Cook, stirring frequently, until fragrant, about 6 minutes. Add 1 cup water and baking soda. Bring to simmer, cover, and cook until broccoli is very soft, about 20 minutes, stirring once during cooking. The broccoli will be very mushy and seem overcooked - it's supposed to be this way. 2. Add broth and 2 cups water and increase heat to medium-high. When mixture begins to simmer, stir in spinach and cook until wilted, about 1 minute. 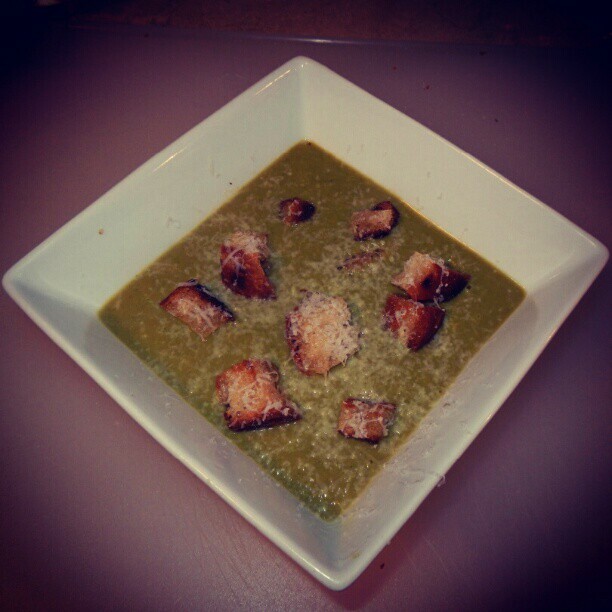 Transfer half of soup to blender, add cheddar and Parmesan, and process until smooth, about 1 minute. Transfer soup to medium bowl and repeat with remaining soup. Return soup to Dutch oven, place over medium heat and bring to simmer. Adjust consistency of soup with up to 1 cup water. Season to taste with salt and pepper and serve, sprinkling with extra Parmesan.